The all-on-four dental implant fixed bridge is a great solution for patients that want to do away with the negative effects of dentures. The all-on-four is fixed (does not come out at night or after meals) in place. Patients love the freedom the all-on-four provides. In the past patients had to receive between six and ten dental implants in order to support a fixed implant bridge. 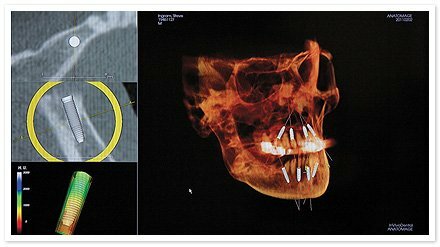 The all-on-four procedure was developed in Europe to lower the number of implants needed for a fixed bridge. 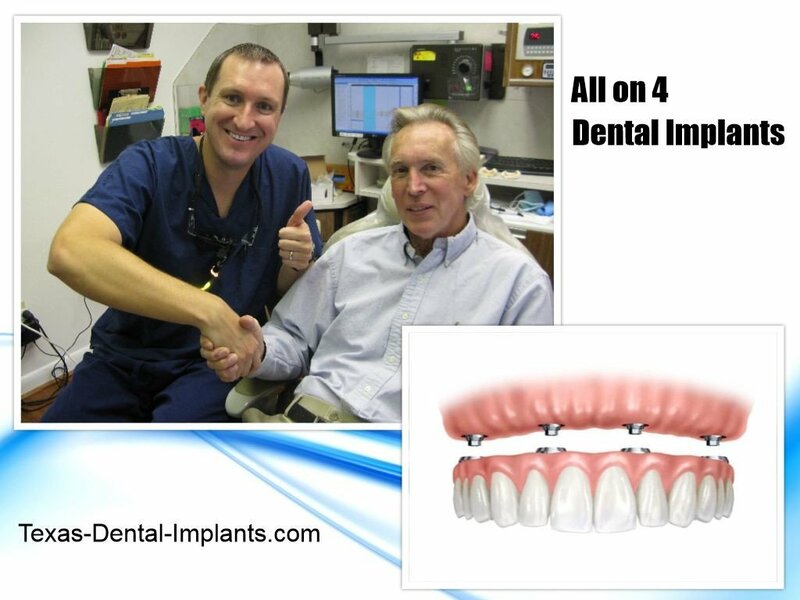 The beauty of the all-on-four procedure is that it only needs four implants. The back implants are placed at a forty-five degree angle. This angulation eliminates the need for bone grafts, avoids anatomical structures, and engages more bone for increased strength. The utilization of fewer implants is a great cost reduction feature of the all-on-four. Angled posterior dental implants avoid anatomical structures, engage more bone creating a stronger foundation, and eliminates bone grafts. Eliminates wrinkles and fills out facial contours to provide a more youthful appearance. Dr. Nugent is a regional leader in dental implant therapy. He can both surgically place your dental implants and restore you dental implants all in the same office. Get the best in dental implant care for your family. Visit us at 3421 Burke Rd Ste A, Pasadena, Texas 77504. See how Dr. Nugent’s advanced 3D X-rays allow him to digitally play your implant case.